Dates are an often overlooked fruit in most Western cultures. We pay a lot of attention to healthy fruits like oranges, apples, and lemons, but dates are also some of the most valuable natural foods you'll find as far as health benefits are concerned. Healthy and Natural World reports that dates — and date seed extract — can help reduce liver fibrosis, which occurs when the liver heals improperly from dealing with toxins, causing excess collagen. 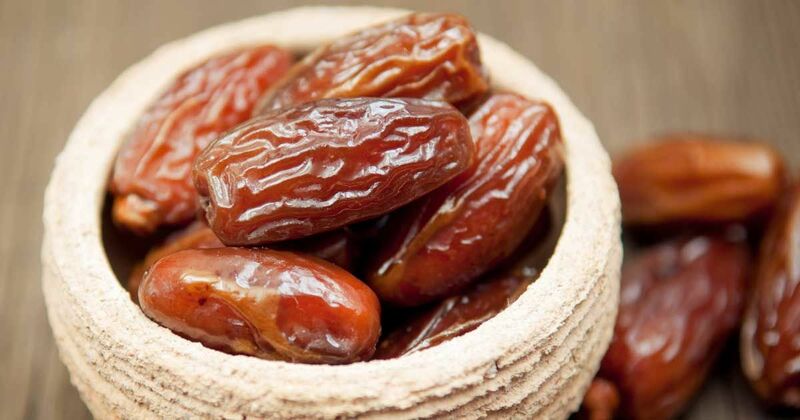 Dates can help you shape a healthier organ that will recover better from everyday wear and tear. Dates are excellent for your heart: Organic Facts explains that the fruit can help monitor your heart rate thanks to potassium, which is excellent at fighting off heart disease. Not only that, but dates can reduce LDL cholesterol — the harmful variety of the molecule. According to Healthy and Natural World, dates are also excellent at keeping atherosclerosis at bay. The disease is characterized by plaque forming in your arteries, which not only makes them thinner, but also poses the risk of said plaque breaking off and creating clots, which can often be deadly. The high amounts of antioxidants and phenolic acids contained in dates can help reduce the clogging of arteries and the issues that stem from said clogging. Dates are loaded with vitamin A, according to Mercola, which will help defend your corneas from all kinds of harm. They are also rich in lutein and zeaxanthin, two little-known nutrients which allow your eyes to filter harmful exposure to light and prevent macular degeneration, which causes a loss of sight. SFGate suggests combining dates with almonds or cashews for a delicious, high-energy snack. Organic Facts says this is because the natural sugar in dates will give you a good energy boost. Not only that, but the vitamins and potassium within help promote brain activity and reactivity in the nervous system, which can keep your body from getting slow with age. Did you know about these benefits? Make sure to add dates to your diet ASAP — and share this article so your friends can do the same!